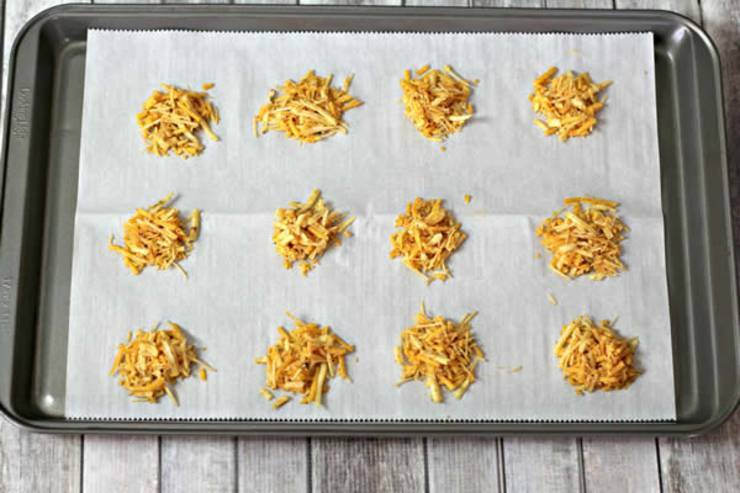 Are you ready for EASY keto cheese chips that are tasty and delicious? 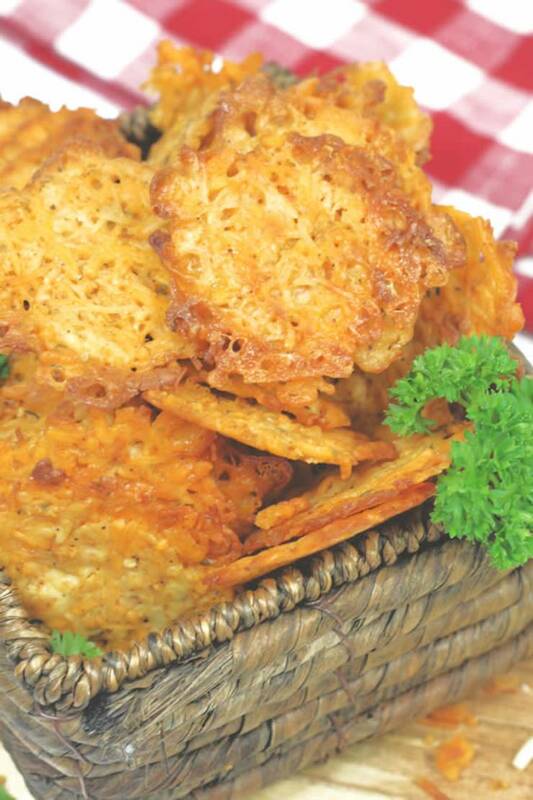 Look no further than this easy low carb cheese chip recipe. 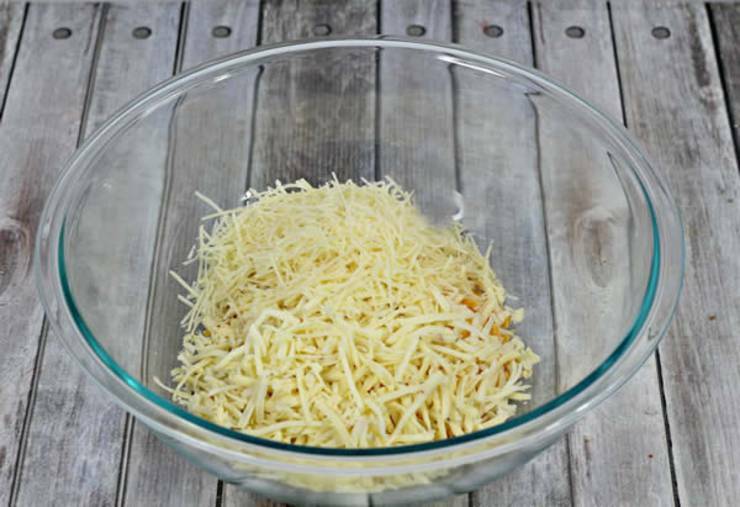 You DO NOT need to spend hours in the kitchen baking chips when you can make this simple & quick cheese chips. No almond flour or coconut flour needed for these chips either. 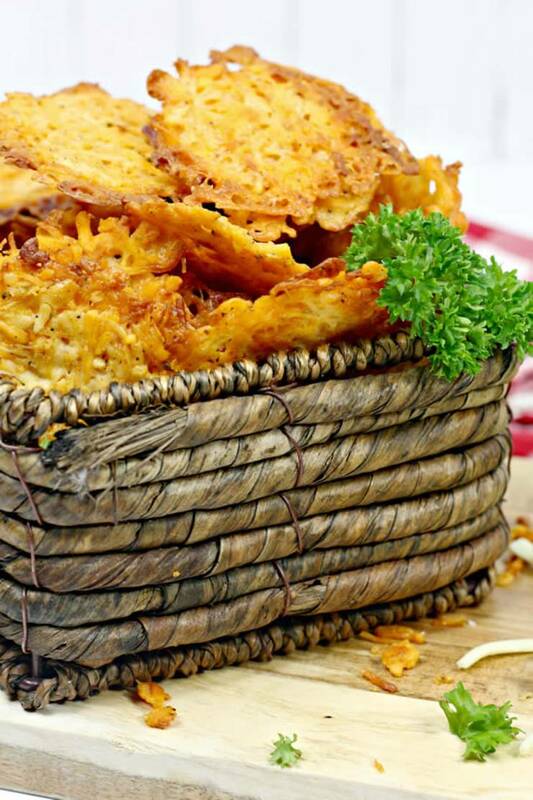 Learn how to make keto chips that will please any crowd. 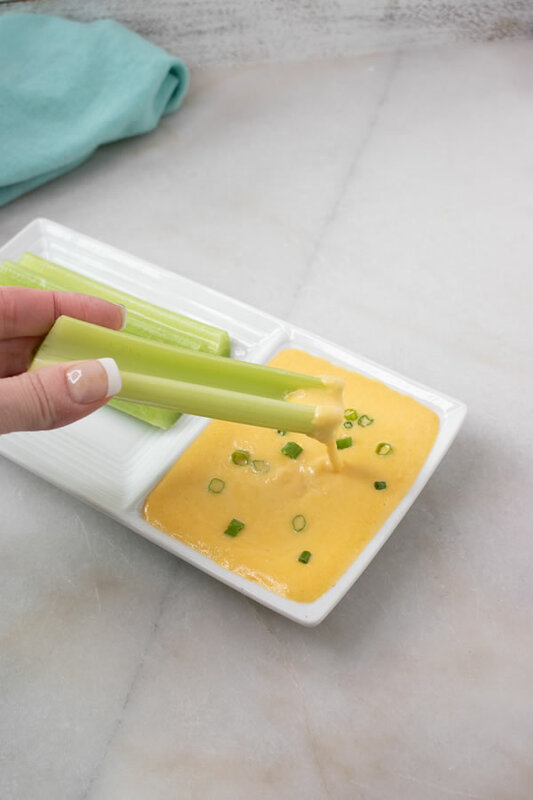 Great for a quick grab and go snack, dipping in your favorite keto friendly ranch or salsa, eating on their own or taking to parties. Everyone who has tried these keto chips loves them including kids. So why not cook up some of the BEST tasting keto cheese chips with a hint of cajun spice? 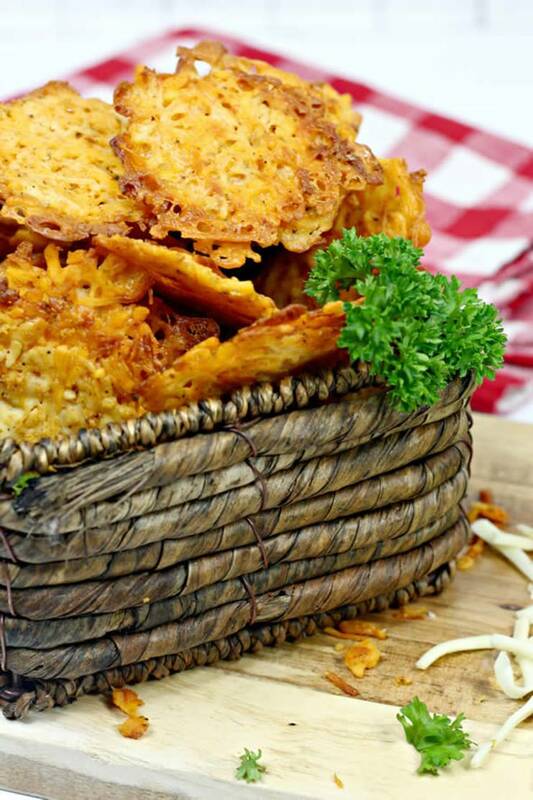 Head on down to follow the step by step instructions to make these delicious low carb keto cheese chips! Mix the cheeses, seasonings, and oregano, and parsley flakes. Using an ice cream scoop measure out each chip. Drop each scoop full on the lined baking sheet. Make sure not to burn. Enjoy on their own or dip in your favorite keto ranch dressing or salsa. Mix the cheeses, seasonings, and oregano, and parsley flakes. Mix well. Makes 24 chips – Store left overs in fridge or airtight container. 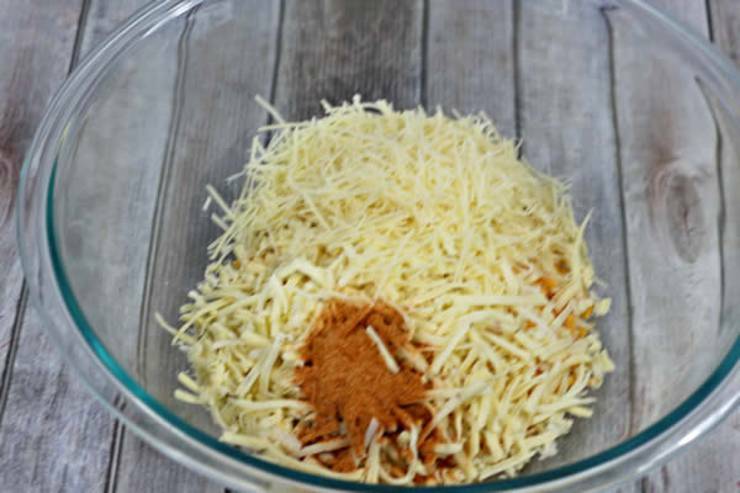 Now that you know how to make keto cheese chips are you ready to get in the kitchen and cook some up? 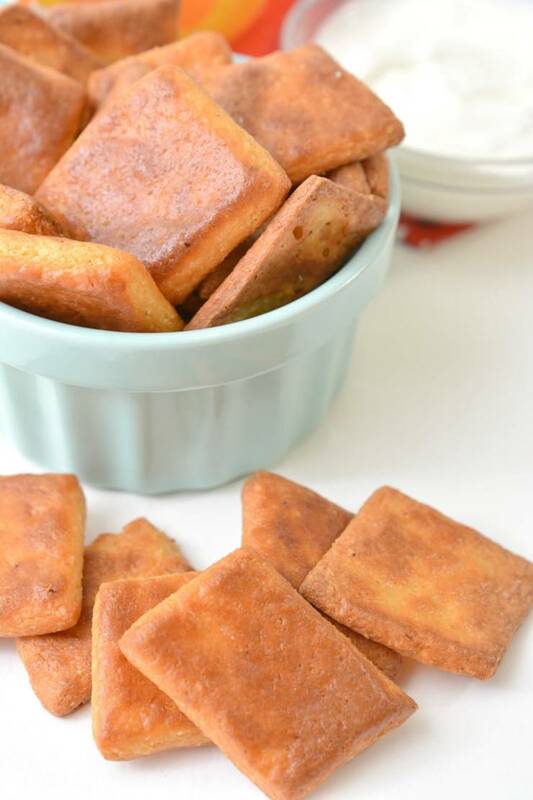 I love these easy and simple homemade keto cheese chips with no almond flour or coconut flour. The best keto cheese chips with shredded cheese. 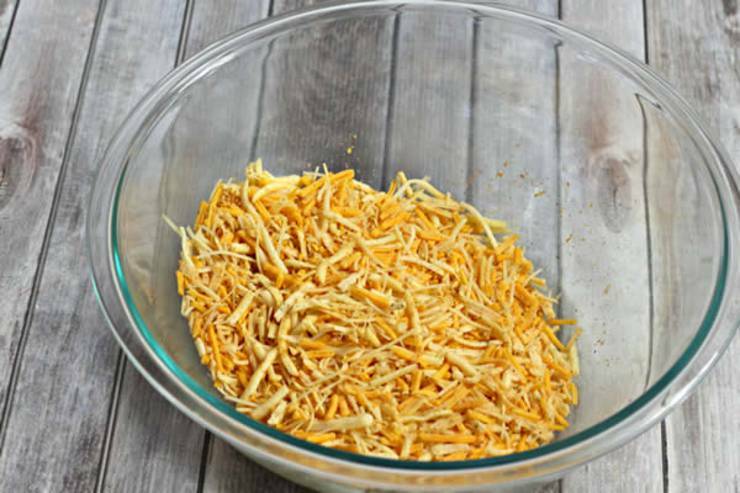 Yes, no need to shred cheese just buy store bought shredded cheese. You can find Sargento cheese or you can go with organic cheese. You can make these gluten free, low carb chips in no time at all and everyone who tried them will be coming back for more. Easy keto recipe that is great for a ketogenic diet or ketogenic lifestyle. 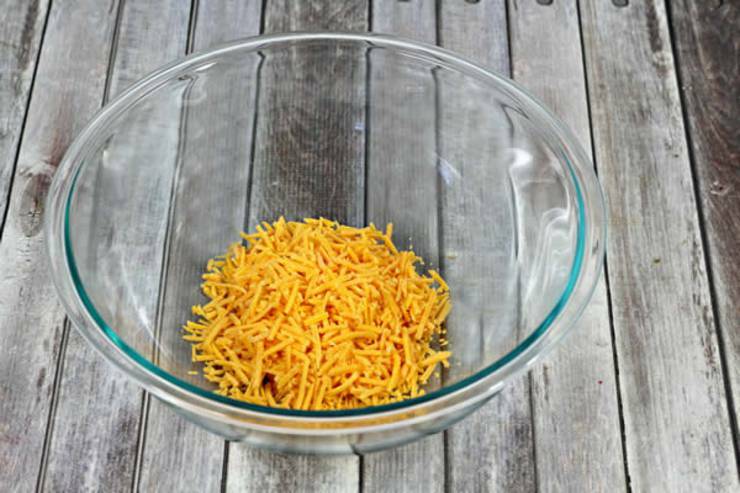 I am still gearing up some recipes for keto cheese chips in the microwave. 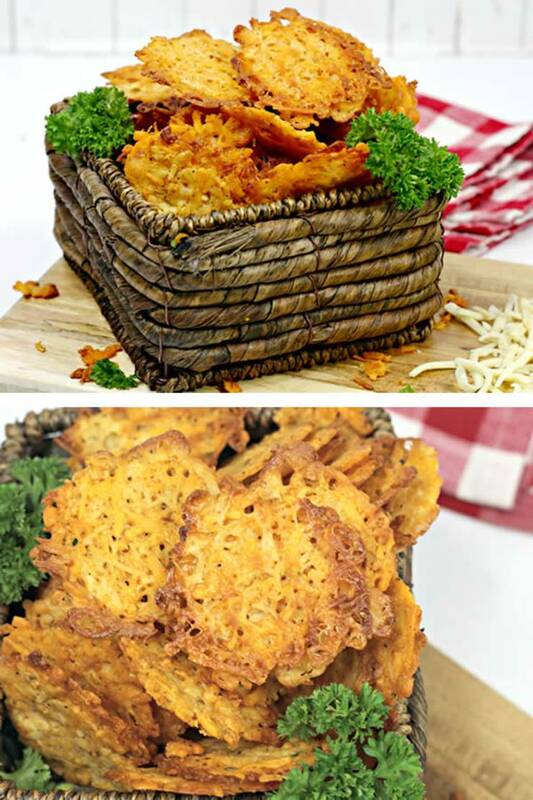 If you still need more ideas for keto chips or keto snacks check out Pinterest you can find: keto cheese chips, keto cheese chips ovens, keto cheese chips microwave, keto cheese chips low carb recipes, sargento keto cheese chips, mozzarella keto cheese chips, jalpeno keto cheese chips, keto cheese chips snacks, keto cheese chips pepperoni, cheddar keto cheese chips, easy keto cheese chips, taco shells keto cheese chips and much more. Until next time – have fun whipping these up. Time to bake! on a ketogenic diet and is a wonderful combination to bring to any party. to pass up this EASY pairing of keto cheese queso dip & keto cheese chips.